This easy-drinking, inexpensive ($10.99) Umbrian blend has a lovely breadlike aroma, and tastes of apple with some flowery notes. It’s surprisingly sweet for a Classico. 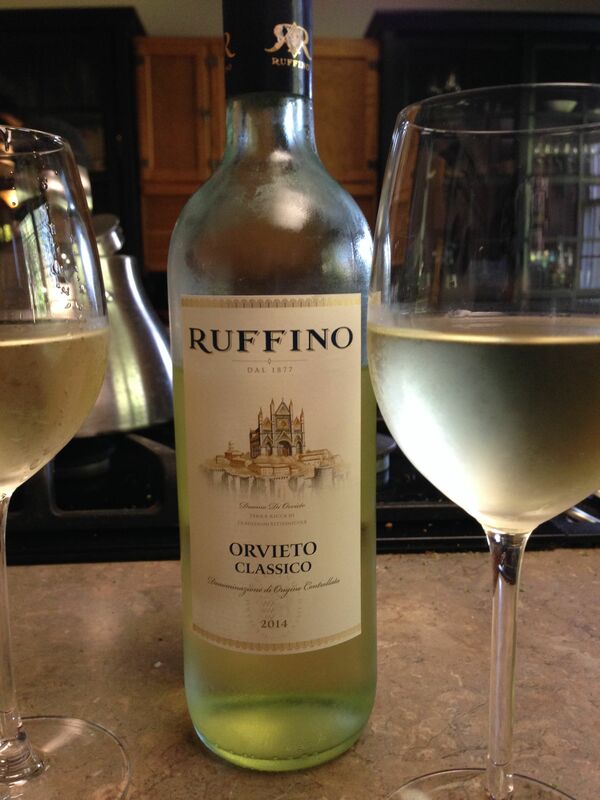 The blend is composed of 50% Grechetto, 30% Procanico, 10% Verdello, and 10% Canaiolo Bianco. Photo of Orvieto: Condé Nast Traveler. 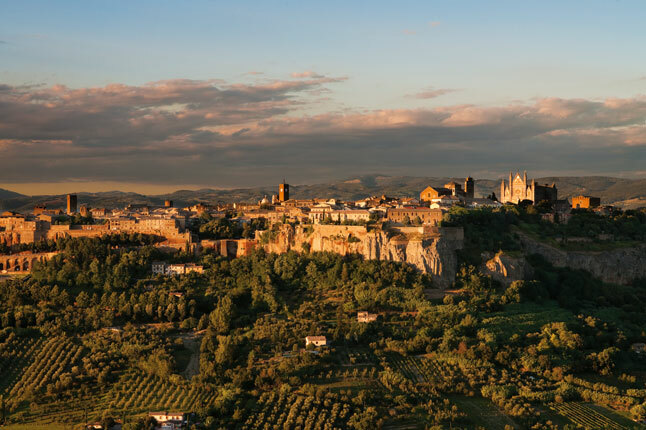 The medieval town of Orvieto has an air of deep antiquity. Its Etruscan past is particularly fascinating. Recent excavations there have uncovered a series of underground pyramidal cavities, full of pottery and inscriptions. Nobody knows their purpose though they are likely to be sanctuaries of the Etruscan gods. Inside one of the hypogaea, with a pile of pottery in situ and a tunnel leading to another of the mysterious rooms. Wine, archaeological finds, pottery, gorgeous Italy! What doesn’t get me excited in this mini-post? Ah, lovely Italy. I spent some time in and near Orvieto and managed to drink one entire bottle of wine on my own. It goes down quite easily on a hot summer day.